Moon Township Vol. Fire Co. 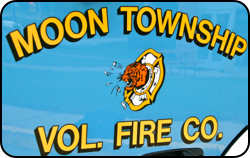 Organized in 1934, Moon Township’s 60 volunteers provide Fire & Rescue protection to a large residential & commercial district. 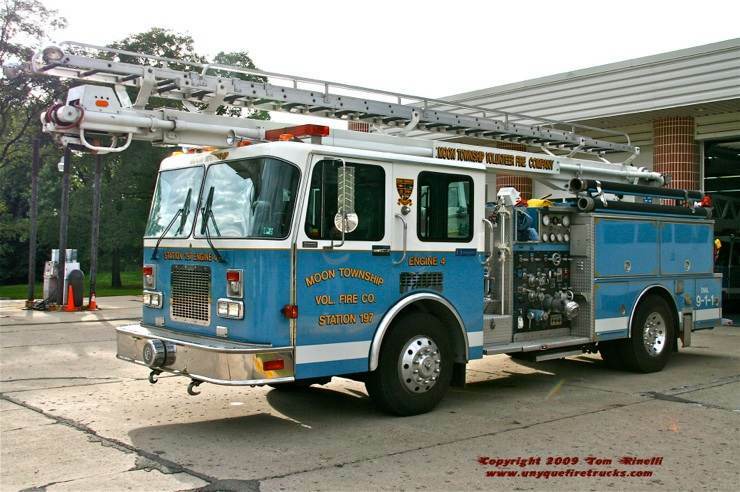 Answering 350 alarms annually, the department operates from four stations with a fleet of 16 rigs all painted in their unique white over blue color scheme. Engine 2 - 2008 American LaFrance 1500 gpm/1000 gal. Truck 4 - 1996 Grumman Aerialcat 102’/1500 gpm/750 gal. Purchased used, this rig was originally painted red. After some heated debate over the fact that “fire trucks are supposed to be blue”, the dept. 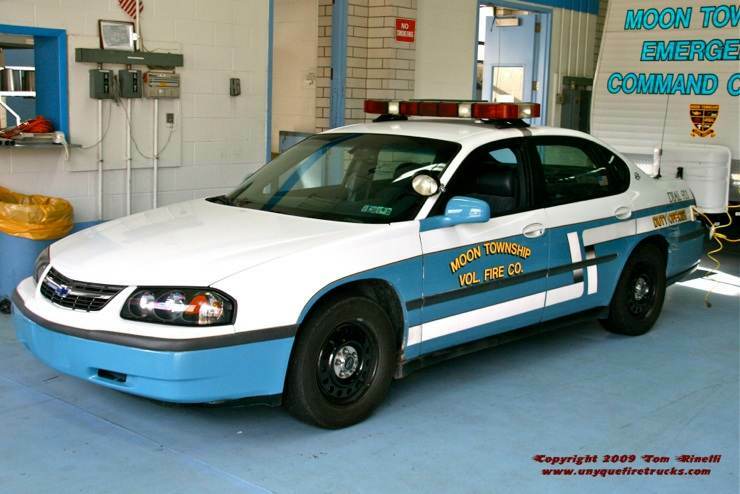 (at considerable expense) had the entire rig sandblasted and repainted in Moon Township’s white over blue paint scheme. Special thanks to Lt. Gary Barone & FF Thom Michelbrink for their assistance with positioning these rigs & providing background information on the department. 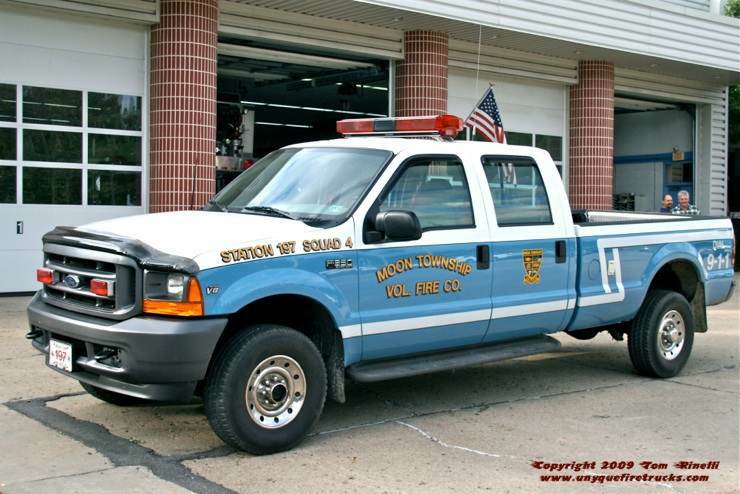 The duty officer vehicle is signed out by an assistant chief or line officer who responds to all alarms thereby freeing up the fire chief to handle the many administrative duties associated with the dept’s operations. 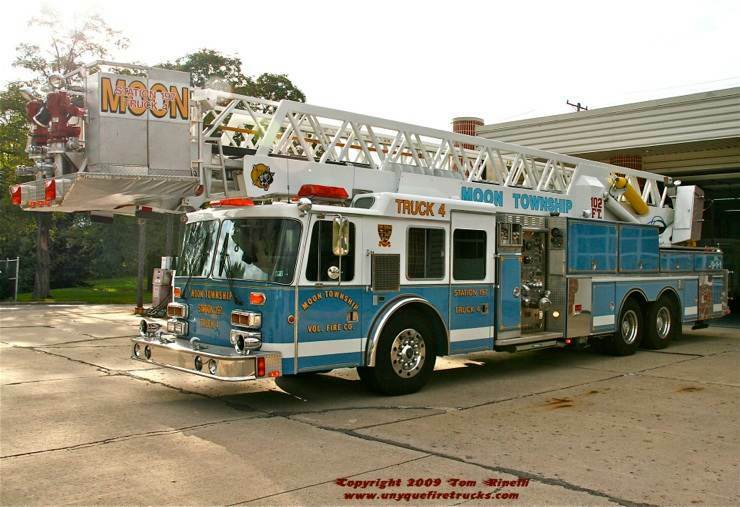 So, what’s the story behind Moon Township’s blue rigs? My guess was that since they are Moon Township, they choose “moon blue” to coincide with the township name. Not quite - according to the story that has been passed down for generations, when the dept. was founded in 1934, all the charter members had at that time was a 1932 fire truck and a bucket of blue paint!!! 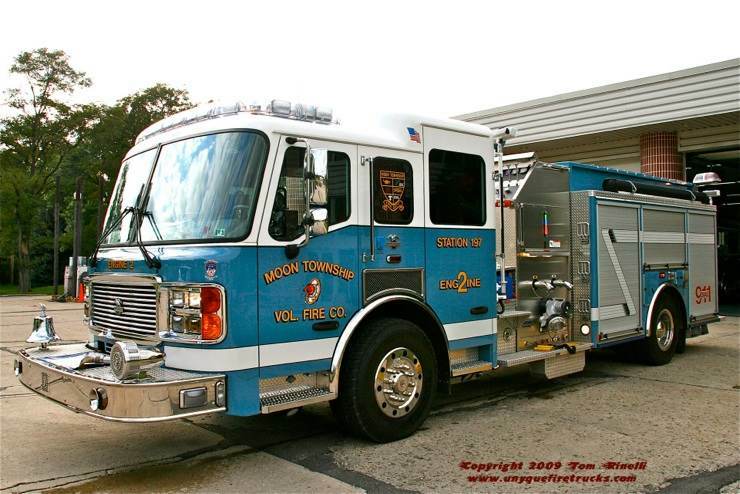 And so began the 75 year tradition of “moon blue” fire trucks in Moon Township. 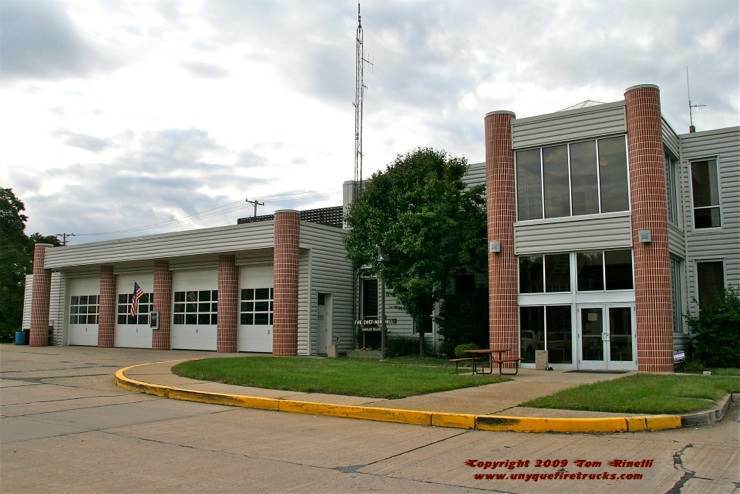 Named in honor of ex-chief/fire marshal Charles Belgie Jr, this station acts as Moon Twp’s headquarters.